Time to Live or TTL is the term of validity of data in a given computer networks that limits the lifespan or lifetime of data, that determines how many intermediate stations (hops) a packet of data is allowed to pass in the Internet. We usually use Time to Live or TTL for Domain Name System (DNS) for Name Server Propagation. In brief, if TTL or Time to Live is very short like 300 Seconds, the propagation will take lesser time, but if it is set to higher value; DNS caching possibly (depends on setup) will take place, significantly reducing query time. In computer networking, TTL or Time to Live prevents a data packet from circulating indefinitely. In computing applications, TTL or Time to Live is used to improve performance of caching or to improve privacy. Internet Protocol (IP) specifies the TTL or Time to Live, which determines how many intermediate stations ( hops ) a packet in the Internet is allowed to pass. The data field for the TTL is an octet (8-bit field), so the maximum number of hops is 255. With each hop, the TTL is decremented by 1. When a data packet after its TTL has not yet reached its destination, it is discarded. 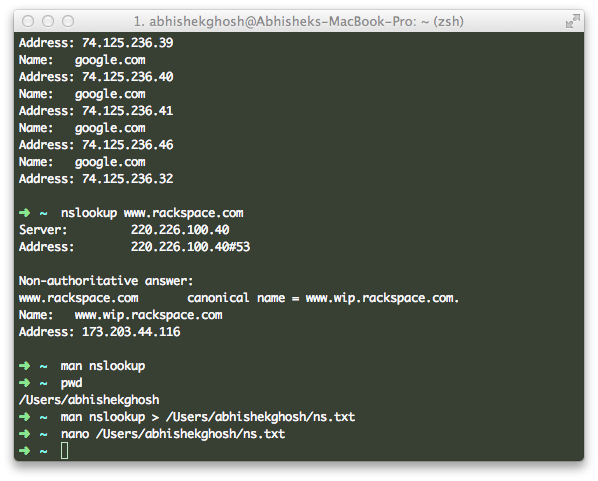 The applied usage of this process is used with traceroute. In IPv6, it has been replaced by a simple equal-sized hop limit and the lifetime is up to the higher layer protocols. We have limited the terminology TTL to DNS records in this article for practical usage. www.rackspace.com	canonical name = www.wip.rackspace.com. This Article Has Been Shared 9357 Times! Finite-state Machine is a computational model that performs calculations automatically on an input to produce an output. Computing not necessarily is about IT. CTS Cheque 2010 is an image based cheque clearing system undertaken by public banks of many countries for faster clearing of cheques based on electronic data. Cite this article as: Abhishek Ghosh, "TTL or Time to Live Explained," in The Customize Windows, March 30, 2014, April 25, 2019, https://thecustomizewindows.com/2014/03/ttl-time-live-explained/.